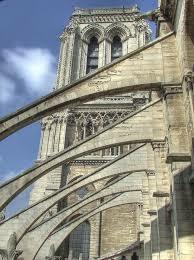 John Wells’s phonetic blog: buttressing? on the whole we tend to use a strong form (frɒm) in (1), a weak form (frəm) in (2). Hmm -- I would always use the weak form in both, unless there were some particular reason to emphasize the word "from". Is this a US/UK thing? (I don't think I ever used the strong form, even when I lived in the UK, but I've learned not to trust my memory on such matters). What about the stressing of this word? Not BUTtresSING, surely? @vp: I tried both sentences in my own American idiolect, and again in RP. Based on this completely unscientific experiment, I think you may be right - that the use of the strong vowel (though without any further lengthening) is a UK thing and not, for the most part, as US thing. Dear Bebedora, please say this "BUTtressing" aloud. Does its rhythm resemble that of the Spanish command "¡Cuádrese! ", with a weak bouncing on the last syllable? I'm not Amy, but (i) is indeed more likely (though not certain) to elicit the strong form of "for" from me. My intuition is that the consonant clusters "pr" and "nt" in "present" function like a speed bump, slowing me down enough to make the strong form a rhythmic possibility. hhmm.. it seems that you've got a point. It seems to me that (at least in the U.K.) there is usually the strong form in "for" here. I understand now it is because there is another weak vowel after the nucleus "do"? Here's another memory for you. I'll bring the sandwiches for you. I've been labo(u)ring at it. Here's a cake for you. I'll bring the rice for you. Nice information, It was worth to visit here, Regards. Your invention is interesting to get in detailed look.Your buttressing may good at some great statement at any event. Can anybody think of any rhythmically equivalent examples in Spanish? e.g. "¡ColGAD las \SÁbanas!DIje" would be similar to "I'll BRING the \SANDwiches FOR you". Sorry, where can I find the 'etymology' of the word 'buttresing'?